A parent is challenging school officials after a student was disciplined for leaving a controversial student workshop that she says included hypnosis techniques and left students distressed and upset. Students at Columbia County Education Campus in St. Helens participated in what CCEC characterized as a "mindful meditation" workshop on Nov. 14. The workshop was pitched to school district officials as a platform to teach students how to express themselves and explore their own good qualities. "This workshop gives kids some tools to overcome some of the fear of speaking up," Colleen Grogan, a teacher at CCEC who oversaw the workshop, explained in an email to the school district's superintendent in October. Grogan also described exercises that would be included in the workshop to "build" the students' voices, and prompts for students to share their passions and talk about "what makes them happy." The workshop held earlier this month was part of a pilot workshop called Speak Up!, being led by a Lake Oswego-based voice coach and licensed hypnotherapist with a private practice in Portland, Grogan explained. It was initially designed for adults, but was tweaked to be more appropriate for teens, Grogan said. The speakers had presented at the school two other times this year, including a training session for staff members and what Grogan described as "successful workshops." "The two previous workshops (May and October) had been very successful with students asking if they would be back. The students were eager to participate and we had no one ask to opt out of either workshop. The third workshop was not as successful as some students did ask to not participate at the beginning of the workshop and were not forced," Grogan said. But what took place during the day-long session at the alternative high school earlier this month fell astray of the innocuous description, and led a few students to walk out in tears, according to the parent and others who observed the workshop. A St. Helens woman, who asked not to be identified to protect her student's privacy, said she got a call from CCEC earlier this month when her 16-year-old asked to be picked up from school early. When she arrived, she learned her student walked out of the workshop to the school office, visibly upset, following what the teen described as mind-relaxing exercises performed by a hypnotherapist. "He was given instruction to put his head down and think of a happy place and the instructor did some hypnosis techniques and taught students about meditation practices," the woman said. Students and staff reported an emphasis on "hypnosis" during the workshop. "All students, who have discussed what happened during the class with me, said that the ladies used the word 'hypnotize' more often than meditation," Adam Wies, a teacher at CCEC, stated in an email to the parent. "Additionally, students recalled the lady saying 'when I count to 6, I will snap my fingers and you will feel like you just awoke from a tremendous sleep.'" The St. Helens parent says the use of hypnosis crosses an ethical boundary. "Using hypnosis on minors without their consent ... as well as this being unethical, is a violation of their civil rights," she said. Grogan denied instructors for the workshop used hypnosis techniques. In her email to the Spotlight, Grogan noted the instructors said they would lead students through "positive mindfulness exercises," when students specifically asked if they would be hypnotized. 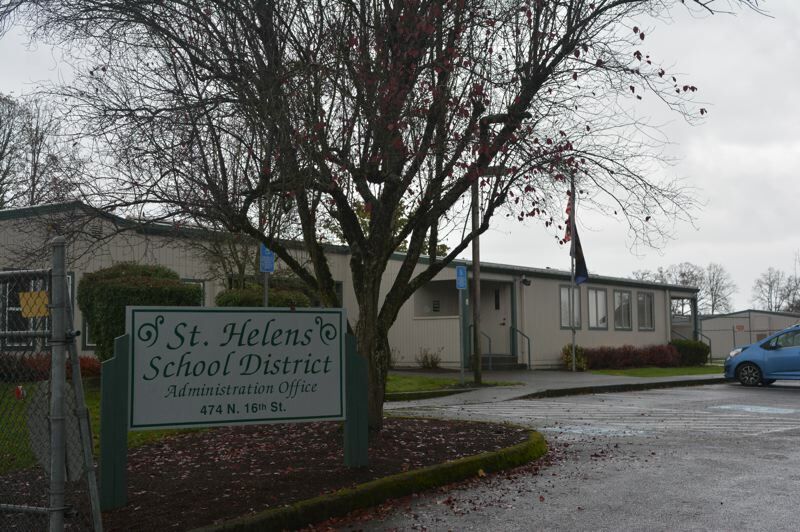 St. Helens Superintendent Scot Stockwell said he was provided with an outline of the workshop and it was approved before being administered to students. Grogan said parents were not notified prior to the workshop, but noted that, "we can see that it would be prudent to notify parents/guardians in the future if we are going beyond the normal curriculum." Grogan also explained the workshop was designed to be a "school-wide training that all students were expected to complete, but it was not mandatory." Students could request at the beginning of the workshop to be excused, she explained, but students not excused at the beginning were expected to stay through both 90-minute sessions. Initially, students who did walk out of the workshop without permission faced disciplinary action, but those actions have since been retracted, Grogan explained. While the exercises may have been well-intentioned, the parent said for students like hers, who may have experienced trauma, the event was emotionally triggering. "This 'go to your happy place' thing, these are students that come from difficult backgrounds," she said. "It evoked very strong and very difficult emotions. Trauma training should indicate that a crying student or student who leaves the room may have issues." The student was issued a referral and suspension for "[leaving] a workshop in the middle of the class meditation without permission," the disciplinary action form states. "The irony of this act, that 'let's teach these kids how to be mindful and how to speak out,' and then suspending them for doing so, is not lost on me," the parent said. She met with Stockwell to voice concerns over forced participation and lack of consent or parental notification. The parent also requested that the disciplinary record and referral be removed from her student's record, and for the district to consider keeping a counselor on site at CCEC. She's still awaiting a response from the district on her requests. Grogan noted in her email to the Spotlight that this particular workshop will likely not be offered to students in the future.